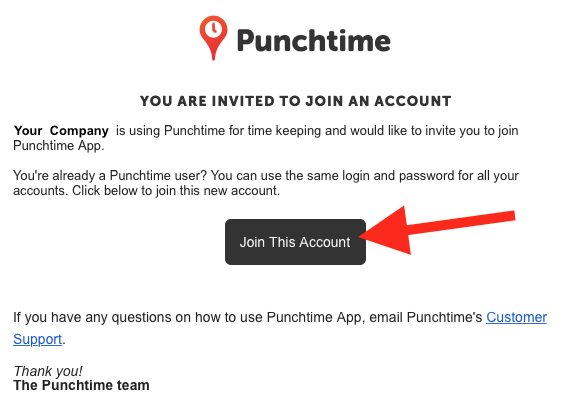 When adding a user in your Punchtime account, they will receive an email as per details below. To create their account they simply click the Join This Account button then fill out the required details (password, name & picture). Make sure the employee has Wifi & Location enabled on their phones. 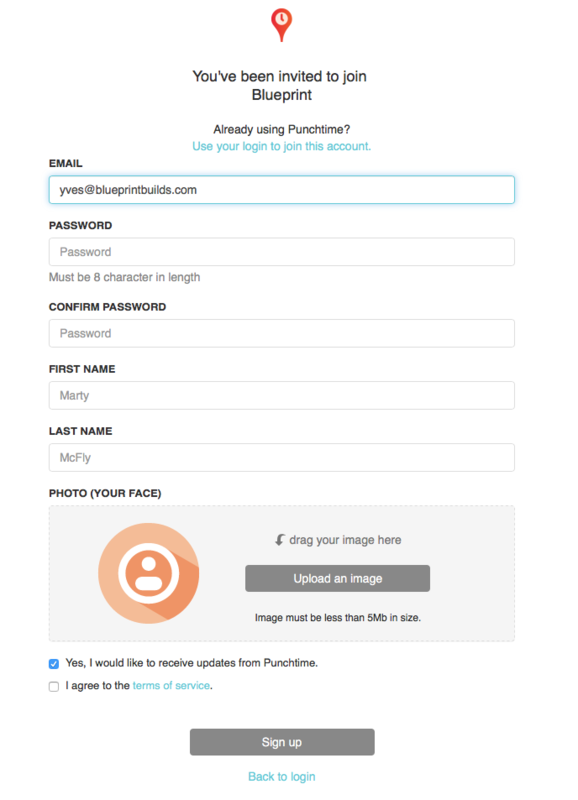 Once completed, they will now be added as a user under your Punchtime account. Please note, a refresh of your browser may be required once new users have been activated.